PINK AND BLUE FLORAL CHAMBRAY BOW TIE. 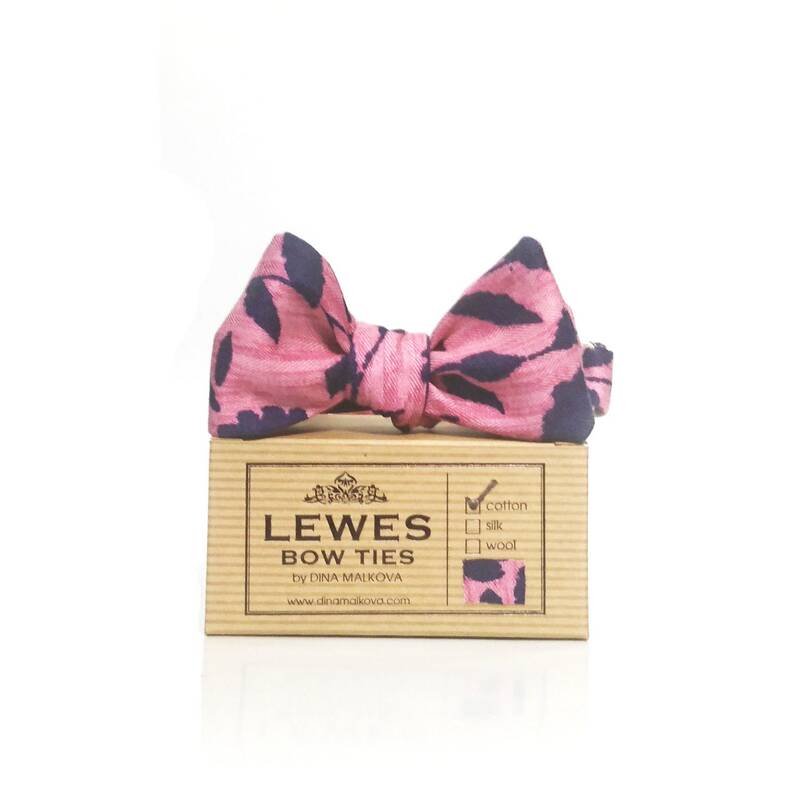 Pink and navy blue floral self tie bow tie is made from 100% finest chambray. This bow tie is adjustable to fit neck sizes 15″-18″. 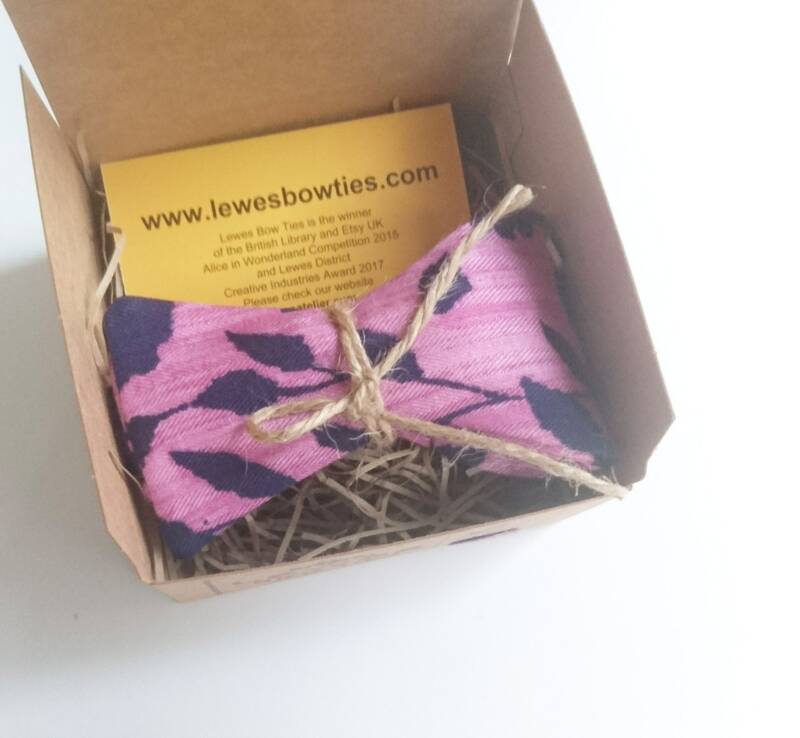 Lewes Bow Tie is hand crafted in limited numbers and packaged in a brand box made of recycled paper.